Space industry devotées will remember a short-lived NASA program called the Asteroid Redirect Mission, or ARM. The goal of the ARM was to send a robotic envoy to a near-Earth asteroid, “collect a multi-ton boulder from its surface,” and place said boulder into orbit around the Moon. From there, astronauts would visit the transplanted space rock, taking samples and hopefully testing technologies that would prove useful on future missions to deeper space destinations. While the program was shuttered in mid-2017, aspects of the ARM remain vital to ongoing industry initiatives—most notably, the advanced solar-electric propulsion (SEP) system which would have propelled the robotic spacecraft into asteroid territory. As government agencies and private industry alike take steps to increase the human presence off-planet, the development of advanced propulsion systems like SEP are a key factor in the pace of progress. Long-term crewed missions to cislunar habitats or Mars will require novel means of managing momentum and efficient methods of generating thrust. NASA has doubled-down on its plans for solar-electric propulsion, and has extended study contracts to five commercial partners for development. While redirecting asteroids is no longer a goal, NASA is enthusiastically repurposing its work on advanced SEP systems to suit other deep space initiatives. On November 3rd, NASA announced that the agency’s NextSTEP program had issued five study contracts, worth a combined $2.4 million, to industry partners in order to explore the development of a Power and Propulsion Element to be used in cislunar space. Boeing, Lockheed Martin, Orbital ATK, Sierra Nevada Space Systems, and Space Systems Loral will have four months to determine how each would develop a comprehensive solar-electric propulsion system which, while immediately useful for NASA’s plans, would also prove valuable to commercial interests as well. Solar-electric propulsion systems work by using photovoltaic cells (think residential solar panels) to convert photons released by the Sun into electricity. This electricity is then used to ionize and accelerate an inert propellant, such as xenon gas, producing thrust much more efficiently, though less powerfully, than conventional chemical engines. The systems under study must be capable of providing electricity, steering power, and enabling communications for the Deep Space Gateway (DSG): NASA’s proposed cislunar launching pad for deep space exploratory missions. While not (yet) a formal program, the DSG would hold significant logistical value for NASA, its international partners, and commercial space companies alike. As a permanent outpost in orbit around the Moon, the DSG would serve as a habitat for crew members, a laboratory for lunar research, and an opportunity for the space industry to prove technological concepts for life in deep space. Finally, the Gateway would be a functional “rest stop” for future crewed missions; an in-space point of contact for spacecraft on their way to Mars or places beyond. Conventional chemical-powered propulsion systems probably won’t cut it for deep space missions. It should be recognized that the history of human spaceflight has been built upon various iterations of chemical propulsion systems. 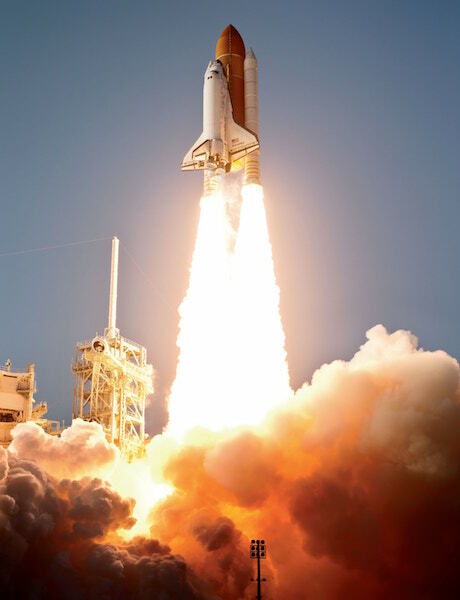 We are all familiar with the awesome spectacle of a rocket launch—the roaring, explosive chemical reactions which generate enough power to propel millions of pounds of vehicle, cargo and crew past the confines of Earth’s atmosphere. Such power comes at a cost, however. Beyond the literal expense of rocket fuel, there is another cost: its weight and mass. Depending on the propellants used, fuel can add several million pounds of weight to a rocket launch. And according to veteran NASA astronaut Don Pettit, chemical propellant accounted for a full 85% of the total mass of both the Saturn V and the Space Shuttle launch system. Despite the costs, chemical propellants remain the fuel of choice for first-stage rocket engines due to the sheer amount of thrust they generate. Visualize a steep on-ramp onto an interstate highway: It’s far easier to climb the slope while getting up to speed in a Ford Mustang versus a Nissan LEAF. However, once at cruising velocity, either car will get you where you need to go. Once in the vacuum of space, a spacecraft still requires a propulsion system in order to correct its course as necessary and—as was the case with the Apollo program—enter and exit the orbits of celestial bodies. In the case of Apollo, both the Command/Service Module (CSM) and the famed lunar lander (“Lunar Module”) were powered by what are called “hypergolic propellants;” basically, two reactive chemicals which, when introduced to each other, combust, thereby producing thrust. Once again, a major feature of such propulsion systems is their massive weight: Apollo’s Service Module weighed just under 54,200 pounds fully-loaded, of which nearly 40,700 pounds were propellants (p.3). While these venerable propulsion systems have done extraordinary things—and made history in the process—we are reaching the upper limits of their capabilities. Given their weight and their expendability, chemical propulsion systems are particularly ill-equipped for long-distance, long-term travel. During this next chapter in space exploration, our sights are set on targets further afield than even the Moon, and reaching these goals will require advanced systems of propulsion. Fortunately, rocket scientists tend to dream big—and there are those who have long envisioned other mechanisms to power, propel, and steer craft in deep space. The notion of electric propulsion (solar-powered or otherwise) has been around since the 1970s, and such systems are most commonly used in the satellite industry. As with chemically-powered engines, electric propulsion systems have their pros—but also noteable cons which have, to date, made them unsuitable for crew-rated spacecraft. Electric propulsion systems are highly efficient and boast a long lifespan, but generate very low amounts of thrust. These characteristics make such systems ideal for on-orbit satellite positioning and maneuvering, but would mean unreasonably long travel times for cargo headed great distances. 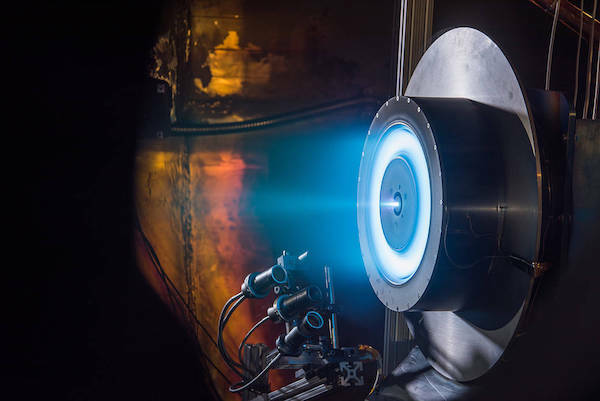 Modern electric propulsion systems—like Space Angels-funded Accion Space System’s proprietary ion electrospray engine for satellites—are already boasting marked improvements over electric propulsion solutions of years past. Accion’s propulsion system uses electricity to accelerate the ions released by stable ionic liquid propellant, effectively removing the need for cumbersome ionization chambers, pumps, and other machinery. This enables Accion to rapidly manufacture small, efficient, easily-scalable propulsion systems for their satellite customers. Today’s space industry is optimistic that solar-electric propulsion (SEP) will play a pivotal role in our next steps off-planet. Prior to NASA’s most recent round of solar-electric study contracts, the agency awarded Aerojet Rocketdyne a $67 million contract in 2016 to develop a deep space-capable solar-electric propulsion (SEP) system. While NASA has stated that the SEP could prove to be ten times more fuel efficient than existing chemical propulsion systems, in order to be an effective means of propulsion, Aerojet’s advanced SEP would need to address the primary shortcoming inherent to extant electric systems: a lack of thrust. NASA is hopeful that this new SEP will deliver at least double the thrust capabilities of currently-available electric propulsion engines. The future of advanced propulsion systems seems, at times, to be straight out of science fiction. Beyond solar-electric propulsion, there are other proposed solutions to propelling the next generation of explorers to Mars. While some of these may seem to strain the limits of believability (looking at you, antimatter engines), other advanced propulsion systems are surprisingly capable and well-developed—and still retain a very cool sci-fi feel. Take, for instance, Ad Astra Rocket Company (AARC). 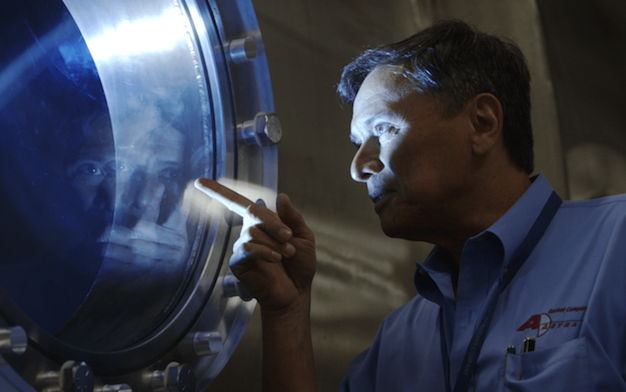 Helmed by former NASA astronaut Dr. Franklin Chang Díaz, Ad Astra is developing the world’s most powerful plasma propulsion system: the Variable Specific Impulse Magnetoplamsa Rocket (VASIMR®) engine. By using electromagnetic waves to superheat gas into a plasma, the VASIMR® engine produces super-dense power and massive thrust without the need for material electrodes—thereby making VASIMR® more reliable with a longer lifespan. What’s more, the engine can run efficiently on multiple sources of gas propellant, greatly reducing the mass of onboard propellant during long-haul missions—and even, in the case of hydrogen gas, enable the engine to take advantage of in situ propellant in deep space. Per AARC, these unique capabilities translate to a high-powered, scalable propulsion system capable of delivering both humans and heavy cargo to deep-space destinations. Of course, the VASIMR® engine would require a source of electricity to power both the plasma generation process and the engine’s second-stage boosters. Chang Díaz and his team have proposed two possible solutions to provide this electricity. The first is to rely on solar-electric conversion, much like SEP systems, in order to generate electricity. Ad Astra recognizes, however, that a downside to solar-sourced electricity is that it becomes weaker at greater distances from the Sun—therefore, its utility in tandem with VASIMR® would be restricted to near-Earth missions. The second option is the development of nuclear-electric power systems, which, while controversial in many circles, would certainly meet the power-generation needs of VASIMR® engines and enable other proposed propulsion systems which are not currently feasible. It’s an exciting time for advanced propulsion systems, and it’s likely that the engines which will propel us to Mars are currently under development. In order to send humans to Mars and other deep space destinations, next-generation spacecraft will need to rely on advanced in-space propulsion rather than the conventional chemical engines of the Golden Age of human spaceflight. Like so much within today’s space industry, novel solutions are being developed not only by government agencies, but by entrepreneurial space companies as well. From Accion’s batch-produced satellite propulsion tiles, to the massive human-moving potential of Franklin Chang Díaz’s VASIMR® engine, the space industry—with NASA’s encouragement—is preparing to revolutionize the way craft operate in the vacuum of space. 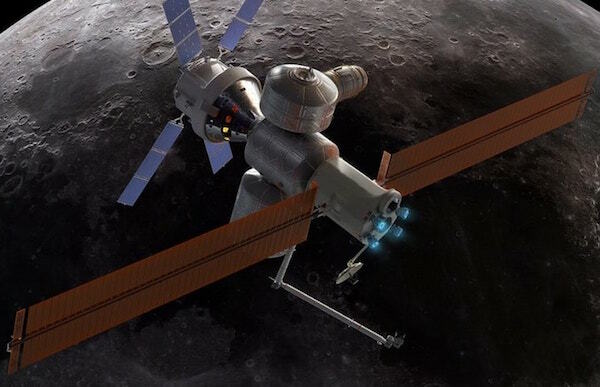 And by March of 2018, NASA’s SEP study contract awardees will have submitted their ideas for the Deep Space Gateway’s Power and Propulsion Element, taking plans for the cislunar spaceport—and efficient in-space propulsion—one step closer to reality.